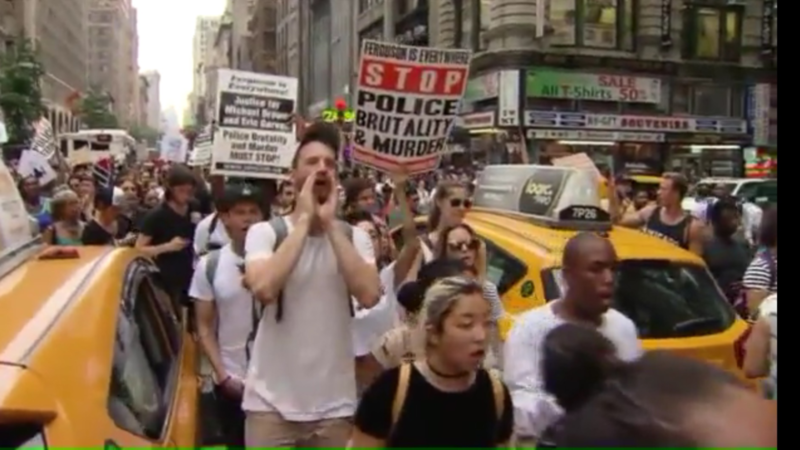 NEW YORK – A number of civil rights demonstrators have been arrested in New York’s Times Square while protesting the police-related shootings nationally of two black men this week. On Wednesday, A Minnesota officer fatally shot Philando Castle while he was in a car with a woman and a child in a St. Paul suburb. The aftermath of the shooting was livestreamed in a widely viewed Facebook video. A day earlier, Alton Sterling was shot in Louisiana after being pinned to the ground by two white policemen. That incident was also captured in cellphone video. These incidents have sparked numerous demonstrations around the country.